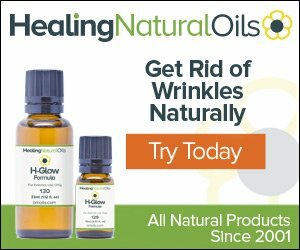 How to look 10 years younger without chemicals and reduce your wrinkles naturally. 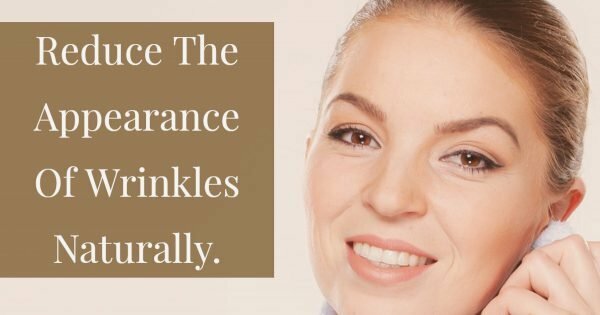 First, you need to to know what wrinkles and the fine lines on your face are. Let’s begin with that. The top layer of our skin constantly sheds dead cells and replaces them with new cells. Unfortunately, with aging, the layer of collagen and elastic tissue underneath the skin depletes and is not renewed. So as we age, we have to help our skin in any way we can and diminish those signs of aging in areas of the face such as around the neck, eyes, mouth, and forehead. Everyone wants a glowing, radiant skin and achieving this naturally is the gentler, safer option. Lifestyle tips to let your skin shine. In spite of aging, the skin can be dramatically improved and preventing fine lines from quickly advancing is possible with some lifestyle changes. A diet with plenty of fresh fruit, vegetables and herbs will improve the circulation of oxygen and nutrients to the skin. This results in positive changes in the density and hydration of the skin and reduces wrinkles. Avoid smoking and drink plenty of pure, filtered water to clear out toxins. These toxins include parabens, phthalates, synthetic fragrances, PEG’s and SLSs which can be found in many commercial skin products including wrinkle removers. Some of the most well-known wrinkle creams in the marketplace contain these toxins so it is always important to select a natural and safe product which we are happy to offer! Oily fish (from safe sustainable sources such as salmon and mackerel) contain omega-3 fatty acids that are linked to reducing inflammation, helping to keep our skin moisturized while tackling any inflammation or redness in the skin.. They are also a good source of high-quality protein, vitamin E and zinc. If you cannot always get hold of fresh fish, canned fish such as mackerel, sardines or herrings will also give your skin the same nutritional benefits. Avocados are high in healthy fats with plenty of vitamins E and C, helping to ensure healthy skin.They also provide essential fatty acids which help to keep our skin moisturized. In addition, you can use the avocado as a moisturizing mask once or twice a week. Simply mash half an avocado and apply it directly to your face. For more hydration, add a teaspoon of raw honey to trap moisture in your skin. Mix well and smooth on bare, clean skin with your fingertips. Wash off after use with warm water. High in antioxidants mushrooms will help to tackle those free radicals in the body to help protect your skin. One such nut is the walnut, a great source of essential fats, zinc, vitamin E, vitamin C and protein, all helping to ensure your skin stays healthy. Adding in almonds is a great way to get the vitamin E you need to help to protect your skin from UV damage. Vitamin E can also help healthy skin growth. High in beta-carotene and vitamin C, your skin will benefit from these important antioxidants for the skin while vitamin C, in addition, helps to create collagen, the structural fiber that is necessary for the protein that keeps skin strong. Red bell peppers contain twice the amount of vitamin C than their other varieties which makes them extremely beneficial for your skin. Broccoli is a great source of vitamins, minerals, and carotenoids all important for good skin health. It is particularly rich inÂ vitamin C, a potent antioxidant that is great for your skin. It can help your body to repair itself, including any blemishes on your skin. Your body also needs vitamin C to help keep your immune system strong and to make collagen. Collagen helps our body to replace dead cells. Our bodies do not store vitamin C making it important to regularly eat fruit and vegetables that are rich in the vitamin. Eggs contain small amounts of almost every vitamin and mineral required by our bodies including calcium, iron, potassium, zinc, manganese, vitamin E, folate and many more.Vitamin A is important for repairing cell damage while keeping our eyes healthy, strengthening our immune systems and keeping our skin healthy and glowing. Whole grains are high in many nutrients including fiber, B vitamins, magnesium, and iron. Who needs an excuse to include some dark chocolate? Well, a good reason is that cocoa contains antioxidants that are said to improve blood flow, contributing in turn to healthier skin. If you decide to incorporate some skin-healthy foods into your diet, remember that patience is key as you are not necessarily going to see great changes immediately.It can take new skin around six weeks to appear. Vitamin C can benefit the skin in many ways. When applied topically, it encourages collagen production and skin brightening. When eating foods rich in vitamin C (such as blackcurrants, blueberries, broccoli, grapes, guava, kiwi fruits, oranges, papaya, strawberries, lemon, and sweet potatoes) it further strengthens the capillaries to feed the skin and make it glow. Remember that having plenty of sleep is essential to healthy skin. Too little sleep can leave your skin dull, dehydrated and wrinkled. When you sleep, tie your hair back and try to sleep on your back. The diet programs always cry aloud, “Drink water!” That’s because there are so many benefits to drinking water. Water is needed to help the body function properly, inside and out. Water brings life to all your body parts – and your skin as well. It brightens your complexion, helps rejuvenate skin cells to promote anti-aging, and adds moisture to your body. You’ll be a well-oiled machine if you can commit to drinking plenty of water daily. Water is probably the most readily available anti-aging product you can get your hands on! So, replace those sodas (and diet sodas) with a healthy dose of water. Staying in shape with exercise will also help with the anti-aging battle. Exercise encourages good bone and joint health and helps with the flow of blood through your body. That’s why many people say that exercise “gets your blood pumping!” The blood carries oxygen with it through your body, which is necessary for good overall health.